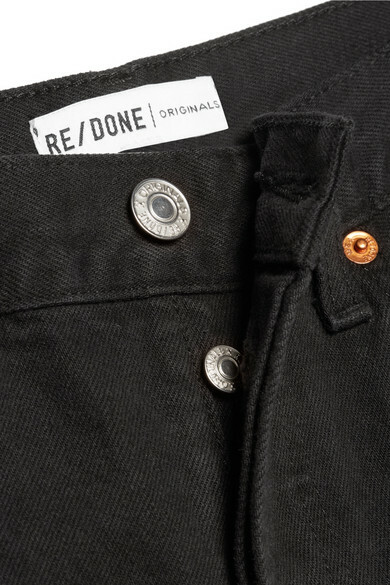 RE/DONE's founders Sean Barron and Jamie Mazur launched their brand after failing to find vintage jeans they truly loved. 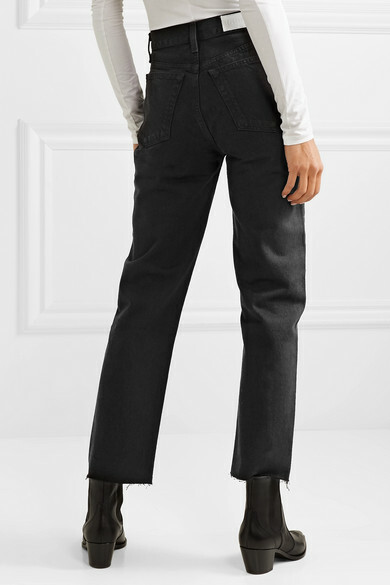 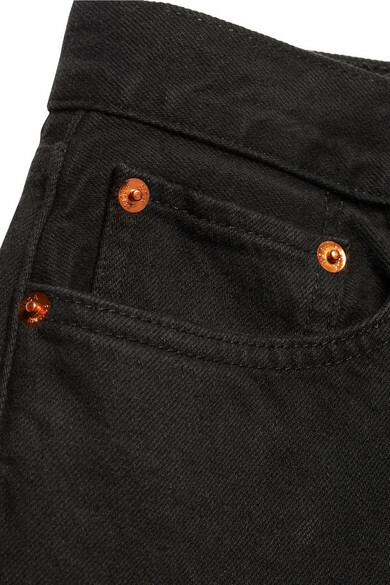 Made from rigid denim, this 'Stove Pipe' high-rise pair holds its shape and falls straight through the legs. 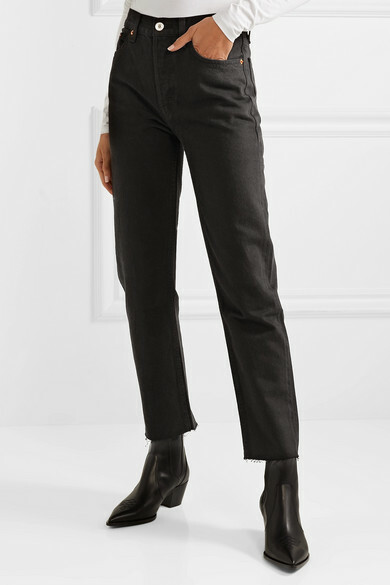 The frayed hems look great with ankle boots and sneakers alike. 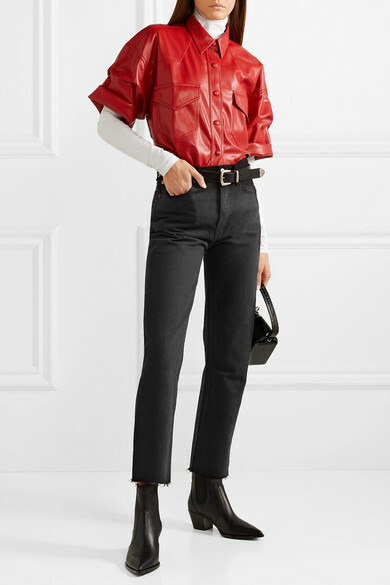 Shown here with: Nanushka Shirt, Acne Studios Bodysuit, Gu_de Shoulder bag, Gianvito Rossi Ankle boots, Isabel Marant Belt.